Welcome to the Automation Training website. Here you’ll find out how to get the most from the Mac, and have it work for you. Click the red link above to watch a video describing how to use this site. Automation is the process of taking something that you do over and over, or is a long series of steps, and reducing it to a single click of the mouse. Automation saves time and makes using your Mac, even easier. Short answer: anyone who has better things to do with their time than being chained to a computer. Businesses, developers, and individuals like yourself, all benefit from automating the things they do. 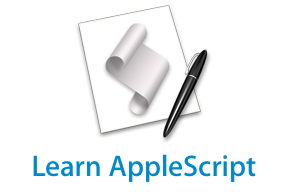 AppleScript is an English-like language used to create script files and applets that control the actions of the computer and the applications that run on it. AppleScript scripts can “think” and make decisions based on user-interaction or by parsing and analyzing data, documents or situations. With support integrated into hundreds of Apple and third-party applications, such as Microsoft Office, AppleScript provides motivated customers an approachable way to address their specific automation requirements by writing their own scripts or using those developed by others. 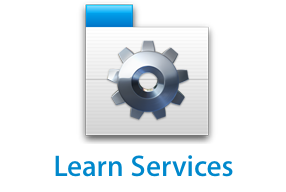 The Services menu, found in the Application menu of most applications, offers a wealth of powerful automation options. In Mac OS X, many applications and system components publish their abilities as “services,” enabling the functionality of one application to be used with the items selected in another application. For example, using a Mail service from the Services menu, text selected within a Pages document can automatically be used to create a new outgoing message in Mail. Or the text of a long article displayed in Safari can be quickly summarized in a few concise sentences. Automator delivers customizable automation to customers without the necessity of writing any scripts, routines, or computer code. 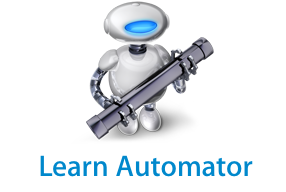 Similar in concept to kitchen recipies, Automator enables users to create and execute an “automation recipe” by following a simple drag-and-drop process, relating the individual steps of a workflow to pre-crafted automation nuggets that are listed in the order in which the steps of the task are to be performed. If you can describe how to make a sandwich, you can use Automator!